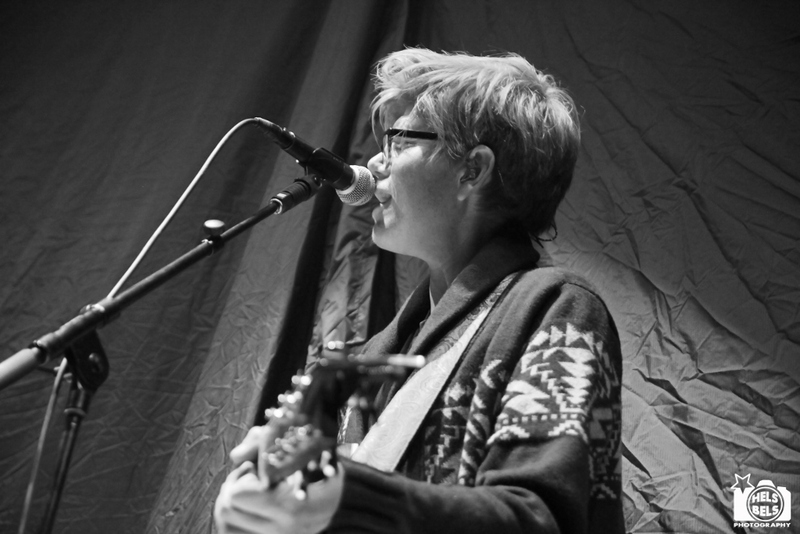 Brett Dennen is a singer songwriter hailing from California. He is currently in the UK touring with Paloma Faith and his latest album, Smoke and Mirrors, is available now. I caught up with him in Hull, the 3rd show of the tour to discuss the new album, songwriting and the music industry today. It was a pleasure to talk to someone so passionate about his craft and very clearly loves what he does. Smoke and Mirrors is your latest album and you wrote that up in the mountains with relatively no pressure. How was that? It was what I needed. It’s my 5th album so my writing process has changed a bit. I never really knew what my writing process was, songs would just start to either come to me or I would feel a song coming on and I need to write and usually I would get a little agitated and kinda grumpy to be around if I feel like I’m gonna be writing soon, it’s strange. So I used to be able to write on the road and write all the time and I just hadn’t been able to do that. I took some time off, went up to the mountains and it was just what I needed, at least for this record, I don’t know if I will need that for the next record, but having no pressure like you said, and having time to not do anything, if I want to write one day I’ll write, if I don’t want to write and just want to hike that’s great too and that would usually lead to writing because I would get inspired. How long did the process take and how many songs did you have before you went to Nashville? Before I went to the mountains I had a couple of songs and I wrote 10 or twelve more there over the course of a couple of months and then about 3 or 4 months after that I went to Nashville and spent about a month in Nashville. I actually don’t really know. It’s not a real inspiring place for me but there’s an incredible community there. There’s really good food, the people are really nice. In the States there’s New York, LA and Nashville, if you want to make it in music and you don’t have a song take off and you want to go and work in music you need to go to one of those 3 and the great thing about Nashville is everyone is super supportive of each other, it’s not that way in New York or LA, only in Nashville. You can feel that when you’re there, I was there for a month and I met alot of people just from meeting 1 or 2 people. It’s a special town. You said your song writing process has evolved, how has that changed? Well like I said before, when I was younger I was much more prolific, and I think it’s because you have a lot you want to say. You want to write a song about this and write a song about that and everything is inspiring and then you get all of these songs out of your system and then you’re like what else is there to write about. You have to go back and write about the same things again just in a different way, so that’s what I’m sort of dealing with now so they don’t come as fast. Also because I have to get turned on, something has to feel like it’s new and special for me to really get into it more and finish the song, otherwise it’s like I’ve done that already before. So my process now is a lot of sitting around and waiting! I used to be able to write all the time, now I need some serious time off to write and I have to meditate on something for a while, I have to spend a great deal of time thinking about what I’m going to say in the next album. I put alot of thought into it, more so than I used to. How long did you take writing the songs for Smoke and Mirrors? It was maybe 4 or 5 months, no, not even that. It was 3 months of writing, but then a great deal of time before that thinking about it. With my old records I would be writing all the time, there’s an album that I did called Hope for the Hopeless and I spent a whole year writing that and wrote probably 45 songs just to over write, just to have tons of material and pick the best songs. Do you find it difficult to choose which songs to use? That was extremely difficult. I would like to write 10 songs and that’s it, don’t write anymore and the next song that I write gets to be in the next 10 songs, but every album I’ve over written and I always have left over songs that I don’t know what to do with. It’s good though, I have my girlfriend, my manager, the label, I have people that I trust enough to give me feedback but then I also have my own opinions where the feedback I get from them if they don’t think it should be on the album, but if I believe in the song, I’ll tell them I think they’re wrong. But I have the right people if they say a song doesn’t fit or it’s not really you then that’s really helpful to have, that outside opinion. You have Twitter, Instagram, a Facebook page. Do you think the changes in the music industry because of the Internet help you? I think it helps. I think we can all hopefully soon agree that we should stop trying to make it so much about selling records and being on the radio which those are great things to do, it’s how you make a living, but to me, I see it being more about every artist is their own brand and it’s up to them to get out and find their audience and keep them close and informed. That’s why I think social media is amazing for musicians because as long as people are following me and interested in what I have to share with the world then I’m going to be able to keep doing this. If we didn’t have that and I was just desperate to get on the radio and I couldn’t get on the radio, then my career would be over. I think it’s hard for artists to make money nowadays, but I think it’s easy for them to build a following through social media. Do think you have to tour now to make the money instead of making it from album sales? There’s no other way. I make money by touring and by getting songs placed in TV shows and movies, but that’s not really as much as I make just sweating it out on the road. You’re the support act on this tour, do you approach the crowd differently and is there more pressure on you? Usually the first week or so of the tour I’m trying to feel it out. I’m trying to figure out Paloma’s audience and what are they going to be into. I’d like to go out and just play whatever but if there’s songs of mine that they would rather hear then that would be great, because it’s not me walking out to a crowd that already loves me, I’m trying to win them over. Have you played in the UK before? I’ve toured here before. I did a tour opening for The Fray, the John Butler Trio, I’ve done my own shows, a tour opening for Rodrigo Y Gabriela. It’s just expensive and I haven’t had proper label support over here so it’s been getting what I can when I can get it. This is the 3rd concert of the tour, how is it going so far? The first one was an older crowd and it was a sit down theatre and everyone was dead quiet, and I was laughing, I wasn’t sure how it was going over and then I walked away from that show and thought alright, we should play more slower songs, where the lyrics are more thoughtful and topical, so that was the plan. Then the next show we played was standing room and everyone was noisy and chatty so I felt I was wasting all the soft songs on them, so I don’t know what to do. What I’ve noticed from her crowd though, it’s mostly women in their 30s who might bring some fellas along who are totally in love with Paloma or are begrudglingly coming along, and then theirs some young girls and then theres some older folks too so I don’t want to go out their and play something I think all the young people are gonna think is hip, I’d rather just play something that’s more though provoking, so that’s still my plan of attack, just mix it up with tempo. What do you like and dislike about being a musician and touring? I love touring, that’s my favourite part of being a musician but I don’t like being away. It’s a real hell of a way to try and hold down a relationship. I skype or facetime, it’s not easy, even if I was the worlds greatest boyfriend, it still would be hard. If there’s a way I could not feel bad or not feel torn everytime I left home then it would be amazing but otherwise I love touring. I love playing music every night, I love seeing new places and I love the process of writing music. Songwriting is the most hardest, most frustrating and gratifying thing I’ve ever done. I wish I could always be in that state. There’s people who write songs for a living but I don’t think that they feel the way I feel when I write a song. They’re pleased with themselves and they have their craft and they’re concise and economical with the way they write but I think when I write a song it’s much more personal and definitely much more emotional and that’s the great thing about being a musican for me is writing. I love it, nothing feels the way writing feels, that’s the best highs and lows I’ve ever had. I have but it’s not the same. When you write a song by yourself, it’s like this is me presenting myself to an audience and that’s the kind of fans I want. I want the fans to be like I’m not interested in people singing other peoples songs, I want to hear an artist just bare their soul, I don’t care if it means I’m going to play to 10 people, I just want to do that. If I could find massive success doing that, that would be great. I just want to evolve and grow as a musician and I want to attract people who want to see that.